Inormative and courteous driver, KT. Itinerary was good, not guided tours so left to explore on my own. 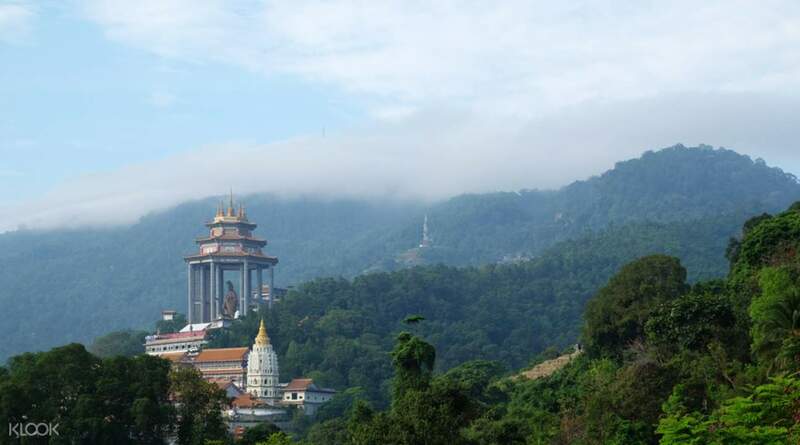 Have a great time exploring Penang, even if you only have four hours. After a convenient hotel pick up, you will get to see a number of key attractions in the city. 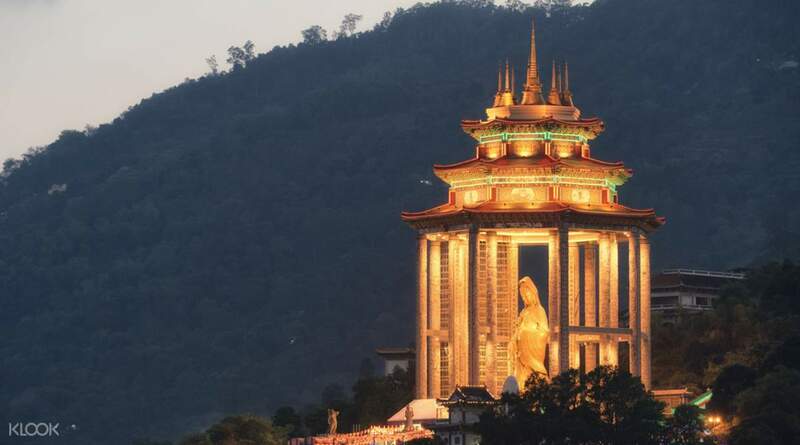 The tour starts off with a visit to the Kek Lok Si Temple where you can marvel at the 7 Tier Pagoda of the 10,000 Buddhas. 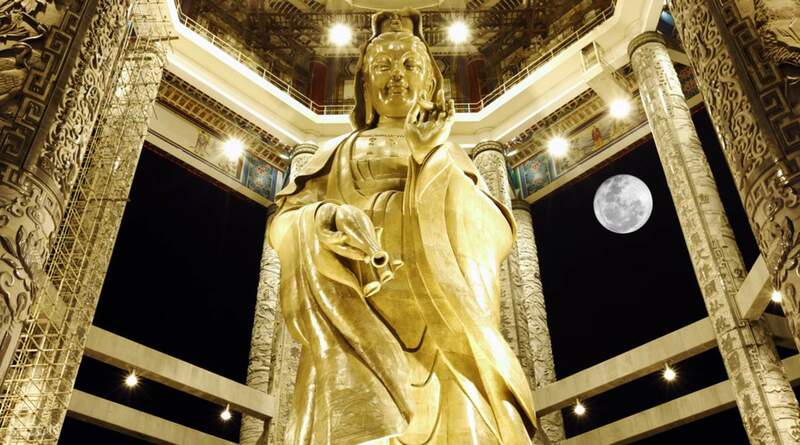 In addition to this, you will see the 30.2 meter bronze statue of Guanyin, the Goddess of Mercy. 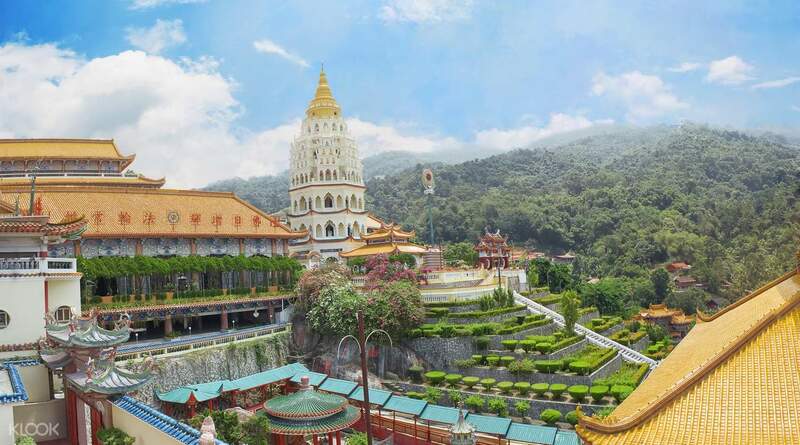 This compact tour also takes you to new heights – literally – because you will get to rise 833 metres above sea level aboard the funicular train ride to the top of Penang Hill. By the end of the tour, you'll have ticked off many of Penang's key sights. It was a real good pick for me. The driver was at my hotel on time and reported at Hotel reception. Driver was so nice and guiding us throughout our trip. The tram to penang hills was included in our package which has saved our time to stand in queue. If you are solo traveller or couple, this will be a perfect and cost effective pick for you. Thanks Klook!!! It was a real good pick for me. The driver was at my hotel on time and reported at Hotel reception. Driver was so nice and guiding us throughout our trip. The tram to penang hills was included in our package which has saved our time to stand in queue. If you are solo traveller or couple, this will be a perfect and cost effective pick for you. Thanks Klook!!! actually I want go there penang hill because of famous traveler spot in penang. we ordered for 3 persons, and they pick up us on time at the lobby. and use one car for us. I was excited. I am very recommended this tour for who dont like join full tour. 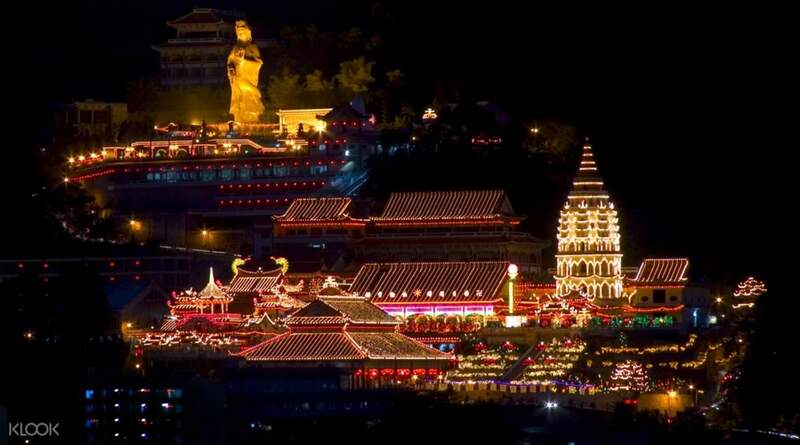 Penang hill is okay, but Kek lok si temple is very stunning and super huge. actually I want go there penang hill because of famous traveler spot in penang. we ordered for 3 persons, and they pick up us on time at the lobby. and use one car for us. I was excited. I am very recommended this tour for who dont like join full tour. Penang hill is okay, but Kek lok si temple is very stunning and super huge. A very personal tour, with just the two of us and the driver. Recommended we leave earlier to beat the queues at Penang Hill, which was fantastic, as significant waiting would eat into the tour, as it was we only just got everything done. Good information and conversation throughout the drive. Left to your own once at destinations to see as much or as little as you like at your own pace. A very personal tour, with just the two of us and the driver. Recommended we leave earlier to beat the queues at Penang Hill, which was fantastic, as significant waiting would eat into the tour, as it was we only just got everything done. Good information and conversation throughout the drive. Left to your own once at destinations to see as much or as little as you like at your own pace. Great way to go to Penang Hill and the temple! We were lucky cause there were no other bookings on the day we visited so we had a private vehicle. Driver was very nice and recommended us things to do in Penang Hill and Penang itself. I’m surprised that there is actually a lot of fun stuff at Penang Hill - can see the city from a nice vantage point and also do a pleasant walk around. We visited a nice little place called Kopi Hutan where they keep exotic plants and animals. The temple is also very lovely and worth to visit though we did not manage to spend much time here. Very worth it to do this day trip and see another side of Penang! Great way to go to Penang Hill and the temple! We were lucky cause there were no other bookings on the day we visited so we had a private vehicle. Driver was very nice and recommended us things to do in Penang Hill and Penang itself. I’m surprised that there is actually a lot of fun stuff at Penang Hill - can see the city from a nice vantage point and also do a pleasant walk around. We visited a nice little place called Kopi Hutan where they keep exotic plants and animals. The temple is also very lovely and worth to visit though we did not manage to spend much time here. Very worth it to do this day trip and see another side of Penang! tour guide was patient and friendly, could have been more informative in sharing more about the place and significance. also, not much time to explore the hill fully had to rush off after our dessert there. tour guide was patient and friendly, could have been more informative in sharing more about the place and significance. also, not much time to explore the hill fully had to rush off after our dessert there. Queuing is long for penang hill, and nothing interesting at the top of the hill. This package should allow customer to decide at the point upon pick up to prefer go which site first, temple then hill, or, hill then temple. Queuing is long for penang hill, and nothing interesting at the top of the hill. This package should allow customer to decide at the point upon pick up to prefer go which site first, temple then hill, or, hill then temple. I so love the experience. Its kinda cold up there. We are bless to see a rainbow when we were up there while having an aerial video. There is an offered aerial video services near the restaurant at a very reasonable price. I so love the experience. Its kinda cold up there. We are bless to see a rainbow when we were up there while having an aerial video. There is an offered aerial video services near the restaurant at a very reasonable price.